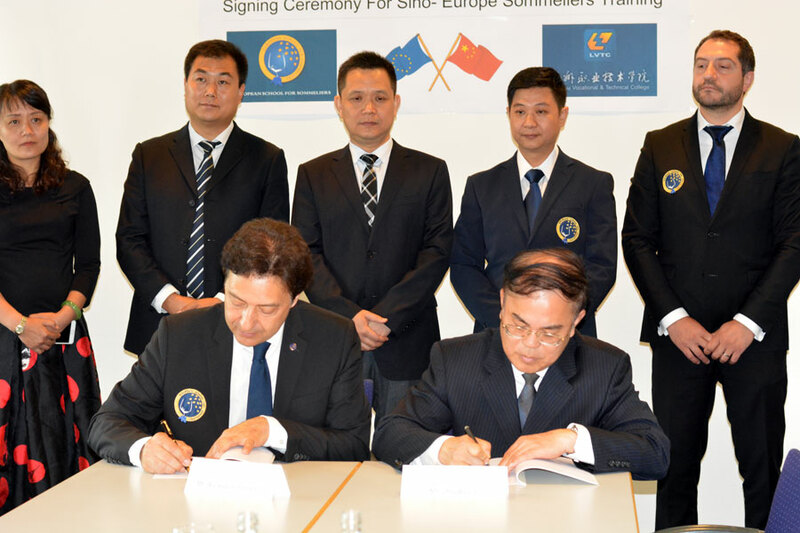 Hannover, 20 luglio 2017 - European school for Sommelier signed a first agreement in order to introduce new courses of European food and wine connoisseurship in Liuzhou Vocational and Technical College, which is one of the most important schools in China. In the following months other interested Chinese schools will be part of this project, that is born to create new professional Sommeliers. 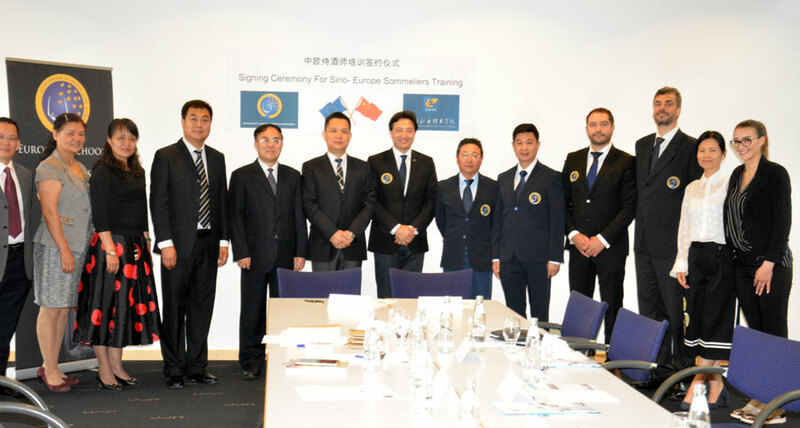 In the meeting, that took place at Hannover’s Congress Centrum, International President of European School for Sommeliers Arcangelo Tomasello was present and He welcomed the Chinese delegation, with the great presence of Deputy Secretary General, Mr. Wei Songling, accompanied by Mr. Yin Jihong, President China European school for Sommelier, Yin Jidong, Vice President China European school for Sommeliers, Mrs. Huang Li, Secretariat European School for Sommeliers. The meeting started with the words of Mr. Arcangelo Tomasello, who introduced all the International team of the school: Rino Patermo, External Relation, Umberto Galli Zugaro, Management International development strategy, Jelena Tomasello, Marketing, Angelo Arena, Secretariat, Yin Jihong, European school for Sommeliers, President China, Mrs. Huang Li, European School for Sommeliers, Secretariat. 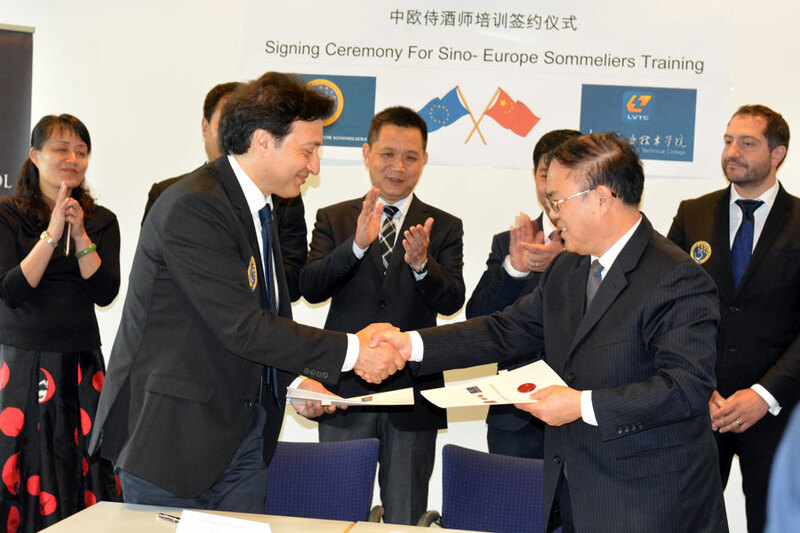 After the words of Mr. President Tomasello, there were other important speeches that talked about the formation of sommeliers in the school of China, from Mr Wei Songling, Chairman Administration Committee Liuzhou Vocational and Technical College e Mr. Zhu Weicai, Chairman, Administration Committee, who signed the agreement. 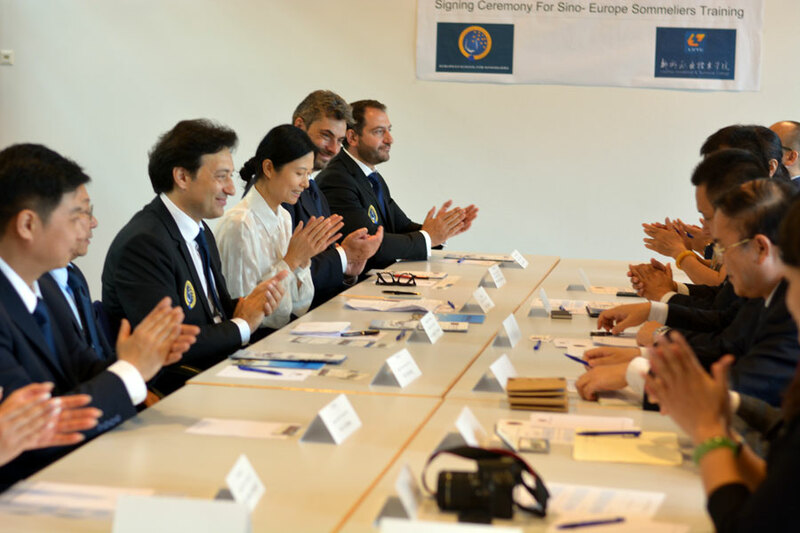 He also said that this project is a great opportunity for students to become great professionists and deep connoisseurs of European Food and Wine. 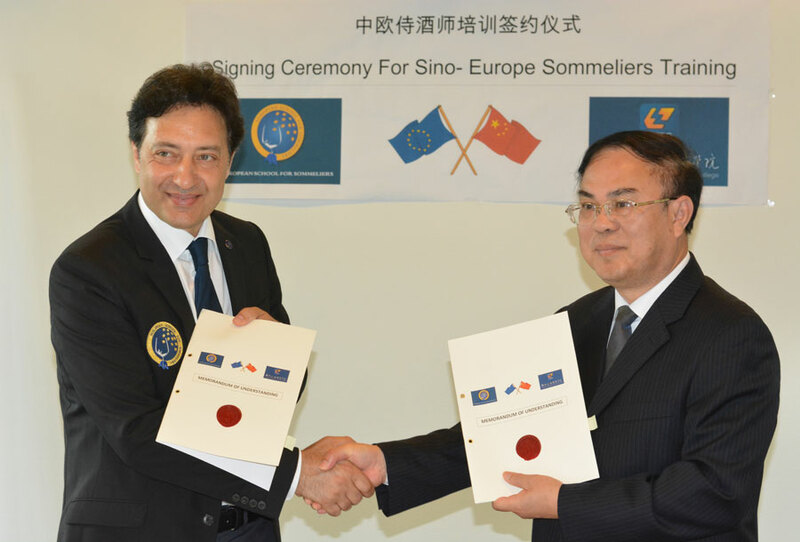 Jidong Yin, President of European School for Sommeliers China was really satisfied about this new step. 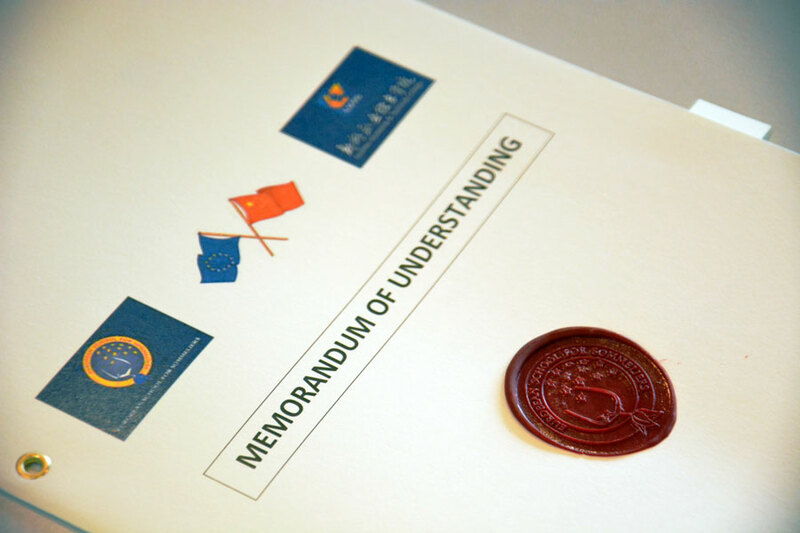 “Only with qualified methods, such as European School For Sommelliers, we can professionally support this process of internationalisation, approaching European knowledge”. 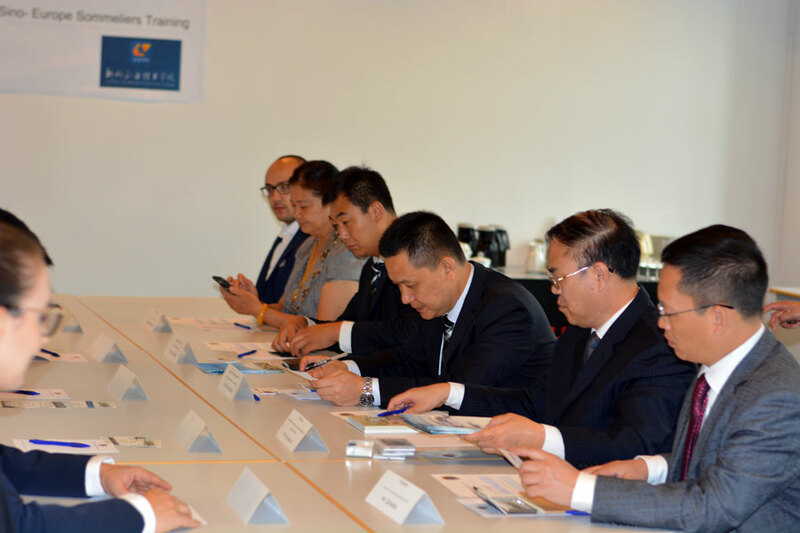 Jidong Yin thanked for the trust between the Chinese delegation and by the international headquarters. The European School for Sommeliers is a training school for sommeliers, born to promote the culture of drinking well, food awareness and knowledge of the world of wine. The school, headed by Arcangelo Tomasello, International President, businessman and successful Italian entrepreneur from the decade-long experience in the world of wine, is headquartered in Hannover. European School Sommeliers is now in several cities and Countries, it has a staff of highly qualified professionals who work daily on educational training and in the realization of cultural and touristic food and wine tours.